Solar panels represent the promise of environmental-friendly and cost-effective energy. In the past few years, the number of buildings and houses using them has grown very much, as people become more and more aware of ecological problems. Therefore, if you’ve ever asked yourself how solar panels work, here is your answer. Apart from that, we’ll also take a look at whether it’s worth investing in solar panels or not and how to make your very own solar panels at home. Simply and candidly put, a solar panel is what turns sunlight into electricity. However, there’s a little more to it than that, in the form of actual science. Solar panels are made of photovoltaic cells. These are very small units that convert sunlight into electricity, as their name suggests. Every single photovoltaic cell is made up of two pieces of semi-conducting material, normally silicon, placed on top of each other. In this way, the science behind photovoltaic cells resembles microelectronics. In order for them to work, the cells need to create an electric field. The process is very much like that of magnetic fields, that happens when opposite poles are placed in the vicinity of one another. In the same way, the electric field is created when opposite charges get separated. The electric field, however, doesn’t occur naturally. Manufacturers have to “dope” the silicon with some other materials, in order to give each layer either a positive or a negative charge. To be more specific, they apply phosphorus to the silicon layer on top. This adds extra electrons to it, which means it will have a negative electric charge. The other part, meaning the bottom one, will receive a dose of boron. It will lower its electron count, which means its charge will be positive. Boron is one of the elements of the Periodical Table and it’s called a metalloid. This means that it has both metallic and nonmetallic properties that make it a very ‘indecisive’ element. It’s used as a nutrient for plants, in the nuclear industry and it’s also the main ingredient in oobleck. After the phosphorus and the boron have been added to the two layers respectively, an electrical field will be created between the two silicon layers. When a sunlight photon touches an electron and sets it free, the electrical field created will push that particular electron out of the field. There are some more components in these cells that turn the electrons into actual energy, but this is the main process. The cells also have conductive metal plates on each side. The plates gather all the electrons and ship them towards the wires. It is at this point that electrons can flow freely, just like any other source of electricity. This is the main process and, more importantly, the main type of solar power technology. There are others too, such as the solar thermal and the concentrated solar power. They operate differently that the method presented above. But, just as photovoltaic cells, they too harness the sun’s power into electricity. This means that the result is completely the same. Getting solar panels is definitely extremely easy today, much easier that only a few years ago. You can even get credits and loans to help get you started. But is it worth making this investment? Here are some pros and cons to help you decide. Lowering energy costs – depending on the type you install, the size of your house, of the panels themselves, and of the area you live in, solar panels are considered to be able to save you tens of thousands of dollars in their entire lifespan. Protecting the environment – solar power is definitely one of the ways in which we can cut carbon emissions. We can stop the pollution coming from electricity generation and make sure we preserve our extremely valuable and limited freshwater resources. Providing reliability – Solar energy is, probably, the most reliable type of energy out there. The simple reason behind that is the fact that the sun rises every morning and will keep on providing electricity via the panels. There are cheaper options – wind power is one of them. This means that the best idea would be to consider both of these options before installing anything. The sun doesn’t shine all the time – this basically translates into the fact that you will never be able to rely solely on your panels for electricity. You will still need classic electrical resources for nighttime. The costs are high – even though you can get a loan nowadays for something like solar panels, they are still pricy. Indeed, the ROI is believed to be high, but the initial investment might just drill a hole in your budget. In case you didn’t know, you can also make solar panels yourself, at home. You can buy all the materials locally in designated or DIY shops and you can save a lot of money should you choose this option. You can find tutorials and videos online, that show you step-by-step how to make your very own solar panels. Make sure your read everything carefully, so as not to make any mistakes. If you don’t feel comfortable as a handyman, you can always call in a specialist that can help you. As far as the materials go, online research will show you where are the best solar cell manufacturers. If they are close to your home, buy them personally instead of ordering them online. Also, make sure you are very exact in your size calculations. Given the fact that installing solar panels will make significant changes to your home, calculations need to be as accurate as possible. If in doubt, you can always use a solar panel calculator. 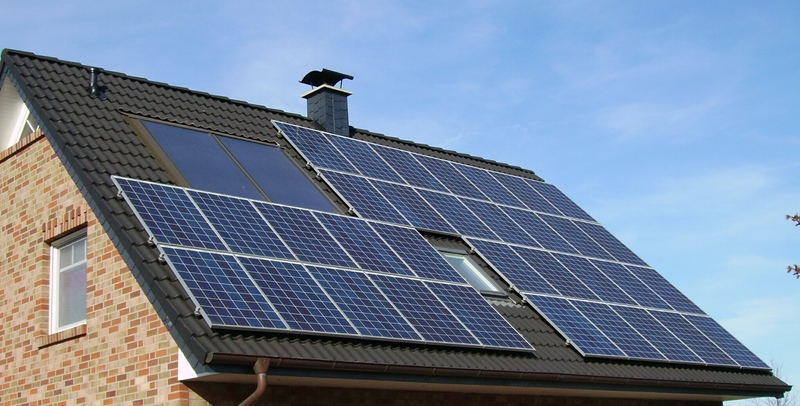 Here are the basic science facts on how solar panels work. Either you buy or build them yourself, they are still an amazing way to reduce your energy bills and to help save the environment at the same time. It’s truly a win-win situation! Hey Buddy!, I found this information for you: "The Science of Solar Energy: How Solar Panels Work". Here is the website link: https://www.explodedhome.com/how-solar-panels-work/. Thank you.